If your morning cereal feels just too plain without that something special on top, try swapping sugar or honey for cinnamon and vanilla. With its sweet, warming taste they are a great substitute for sugar. Even better, make your own low carb cereal at home, such as this Peanut Butter Granola. 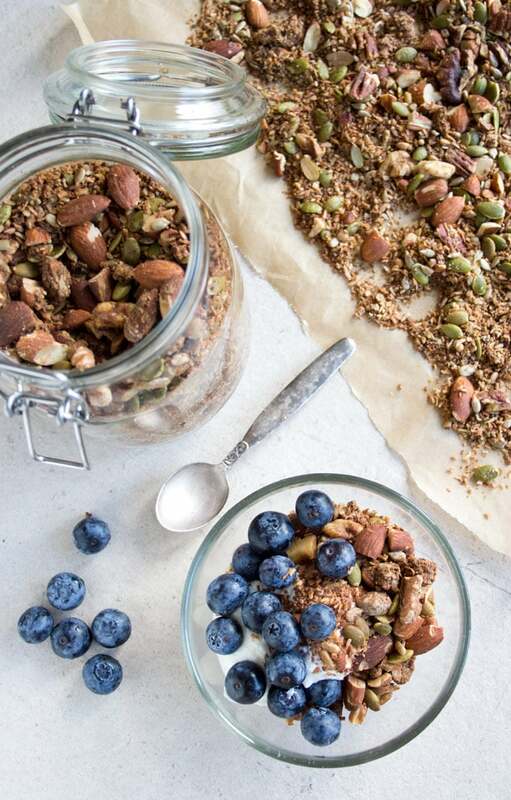 It’s packed with nuts, seeds and flavour – and contains no added sugar whatsoever. Think water is boring? Think again. If you add cucumber, mint, orange slices or halved strawberries to your water and leave it in the fridge for a while, you end up with a wonderfully flavoured drink. For those of you who just cannot give up the fruit juice all at once, consider diluting it 50/50 with water. You surely know already that fruit juice is pure fructose, as all the fibre in the fruit has been stripped away. This way you’re making it half as bad! Most cake recipes suggest using way more sugar than necessary. You’ll find you can cut the sugar content by up to 50% without tasting the difference! Just add a bit more spices such as vanilla, cinnamon or cardamom – whichever goes well with your recipe – to add more warmth and taste. 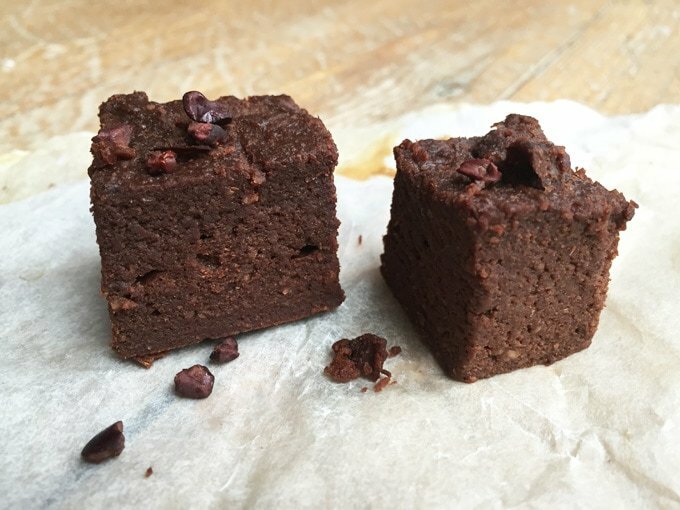 Alternatively, try recipes that use dates to sweeten, such as these sweet potato brownies. Or, even better, use natural sugar alternatives such as stevia, erythritol or xylitol. They do not raise blood sugar levels at all and taste pretty close to the real thing. I use these sweeteners in all my desserts and absolutely love the result. Just have a browse in my dessert section – I have a large selection of goodies ranging from chocolates and candies to cookies and cakes. Have you ever flipped that dressing bottle around and seen a million ingredients listed? Think “less is more,” and dress your salad with a vinaigrette made of olive oil, vinegar, mustard and chopped herbs such as parsley or dill. If you like creamy dressings but cannot be bothered to make your own mayonnaise, just blend some oil, white vinegar and cashews until smooth. Cashews in dressings are just divine. After not eating jam for ages, I have discovered you can make raw jams with chia seeds. No cooking required! You simply mash some berries, add some sweetener and leave it in the fridge overnight. Because the chia congeals, you do not need masses of sugar. In this recipe for raw raspberry vanilla chia jam, I use erythritol. Another popular jam recipe on my site is this blueberry jam. Store-bought ketchup is packed with sugar. Most varieties contain one teaspoon of sugar per serving. The solution? Make your own sugar free ketchup instead. The natural sweetness of the tomatoes will make it taste irresistible. The same counts for ready-made tomato sauces – most have added sugars to extend shelf life and allow for cheaper produce to be used. Mars Foods recently announced the introduction of new labelling advising consumers that its Dolmio pasta meal kits and ready-made sauces – high in sugar, salt and fat – should be eaten only occasionally. A home-made tomato sauce with passata, garlic and basil takes minutes and tastes delicious. Fruit yoghurt is healthy? Quite the opposite. Low fat fruit yoghurt is one of the worst sugar offenders, because food manufacturers replace the lost flavour from removing the fat with sugar. If you want to eat less sugar, simply buy full fat natural yoghurt and blend it with some fresh fruit. We love making blueberry yoghurt at home – if you use frozen blueberries you’ll end up with a delicious froyo! Back in the day I used to drink Red Bull like water. Unfortunately, the main reason why it helps you stay awake is a massive sugar rush. Energy drinks can, incredible but true, pack as much as 20 teaspoons of sugar. 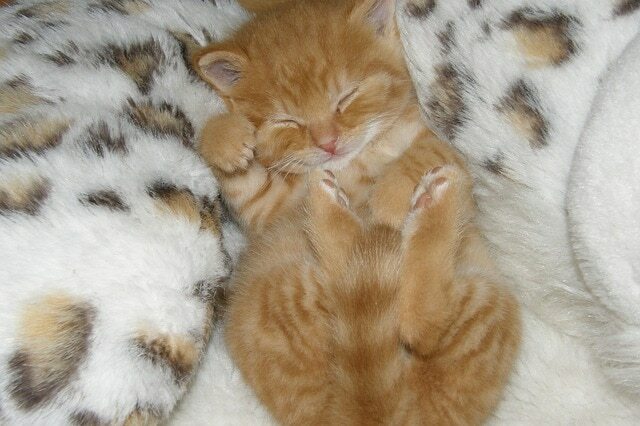 Catnaps, on the other hand, are not only much more efficient, but also always calorie-free. Bonus: 20 minutes of rest when your body needs it will do wonders for your skin as well. Hey. I am brazilian. And my english it is not so Good. But I would like to say that I avoid sugar since january 2014, because Dukan Diet. And now I am healthy again. I saw that sugar is terrible for me And anyone.